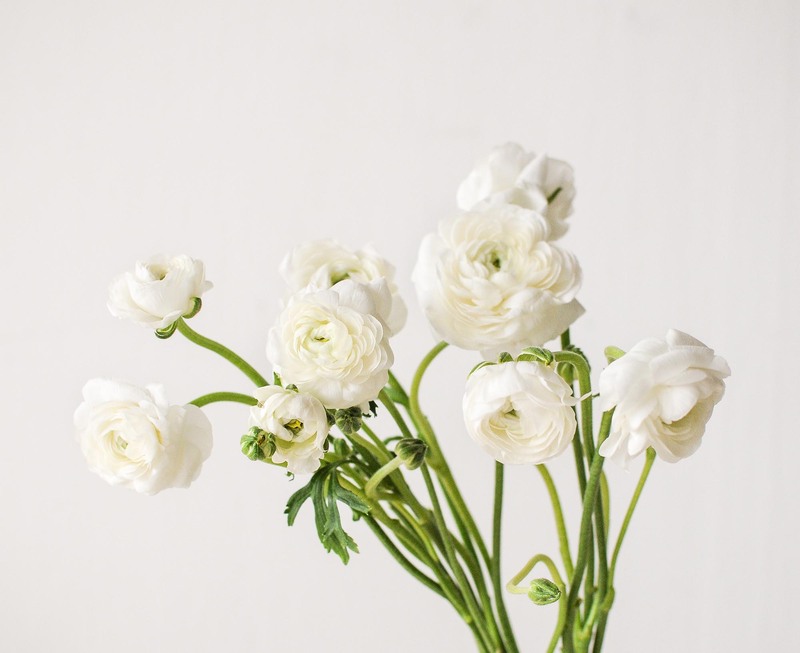 Within the family of the ranunculaceae, there are about 500 species of this flowering plant. 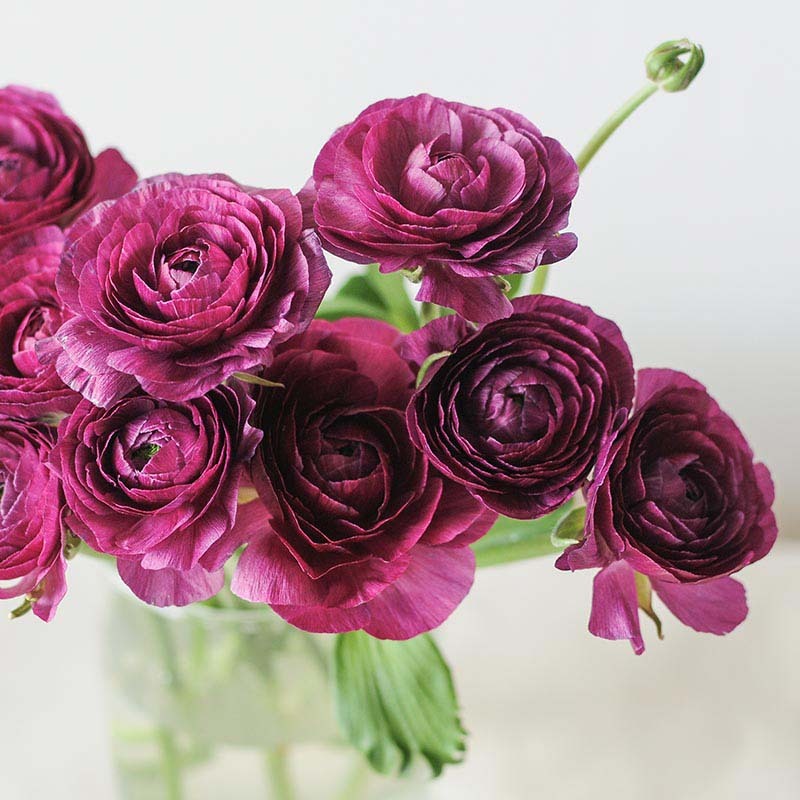 The ranunculus flower most commonly seen in commercial markets are known as the asiaticus (Persian Buttercup), within the buttercup genus. 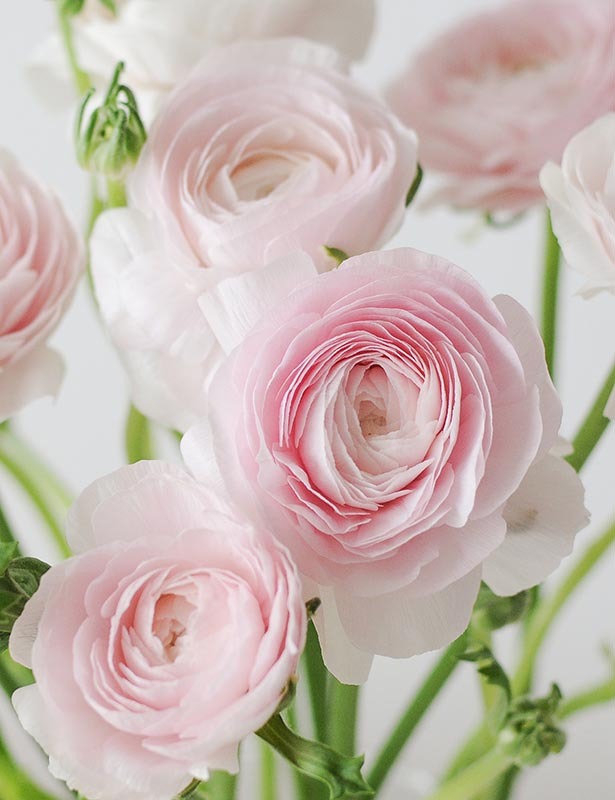 This variety of ranunculus boasts of beautiful cup-shaped flowers with multiple layers of delicate, crepe, paper-thin layers. 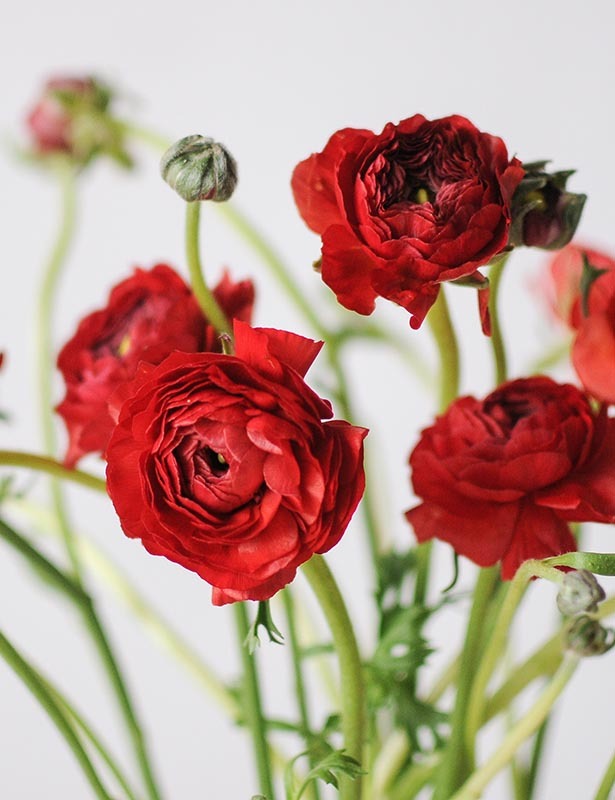 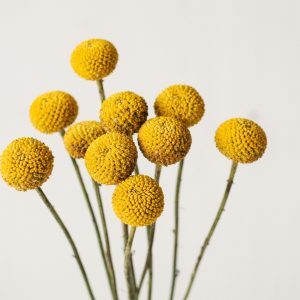 With colours ranging from intense red to brilliant yellows and pale blush, this premium flower is immensely popular as wedding florals and for use in a luxurious bouquet. 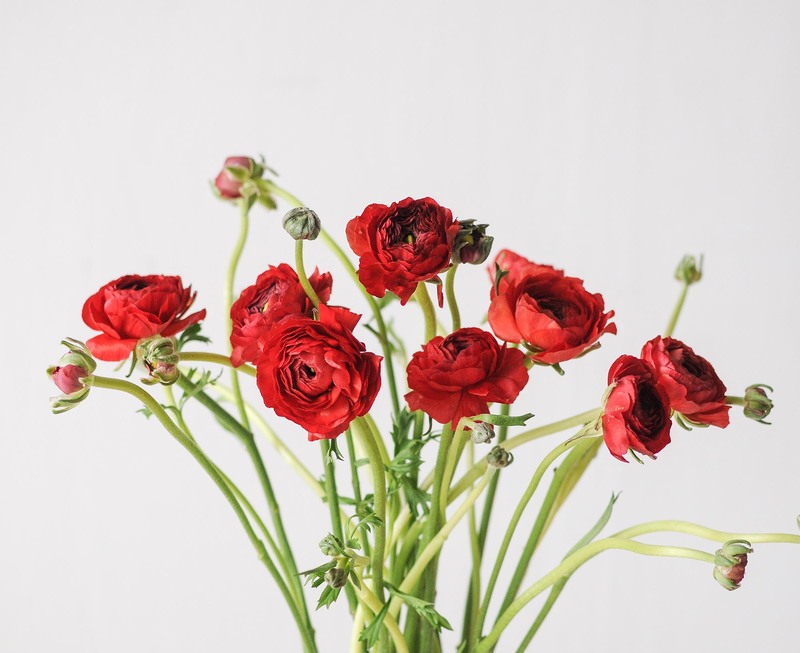 Ranunculus have hollow stems and so are very susceptible to bending and crushing. 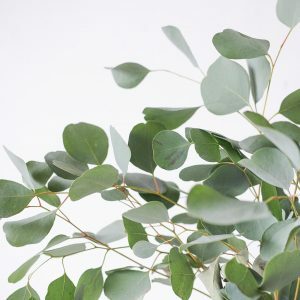 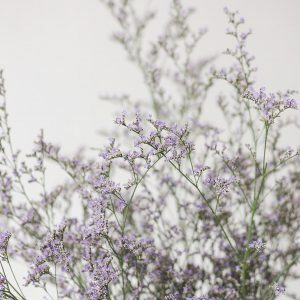 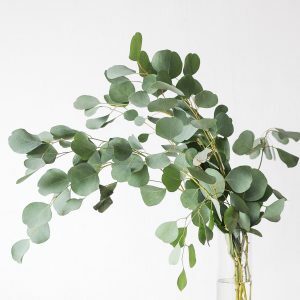 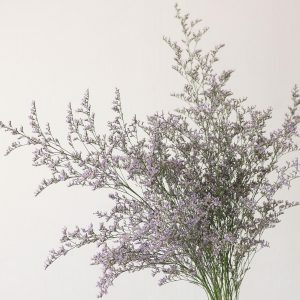 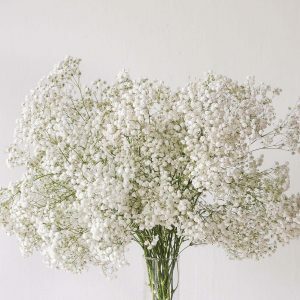 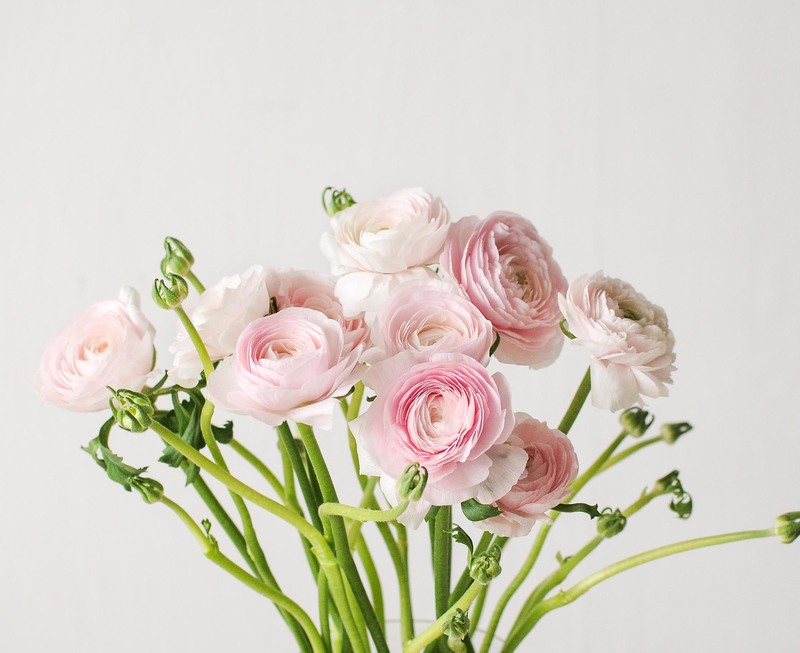 Ensure there is fresh water in the vase and trim the stems daily. 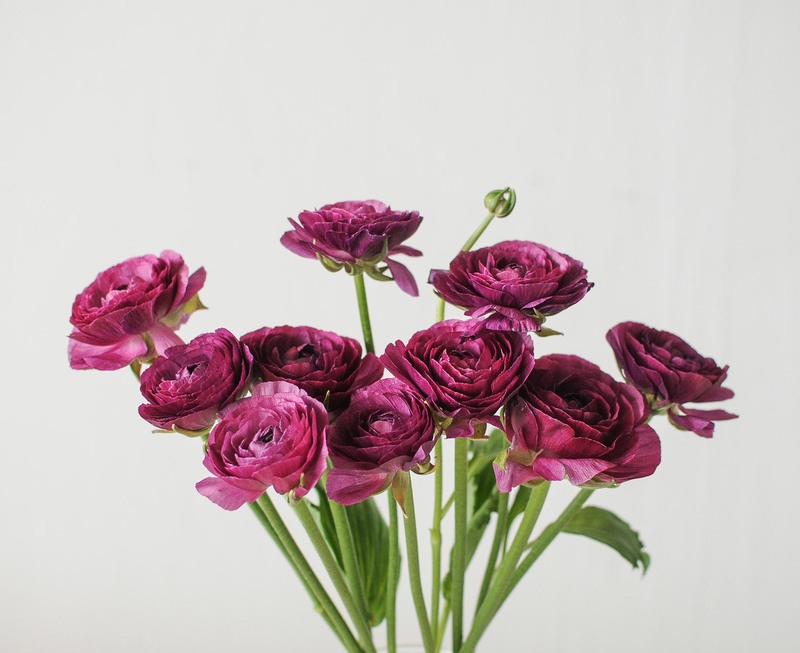 Keep them from direct sunlight and they can last up till 7 days from bud to bloom. 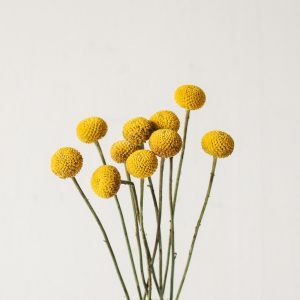 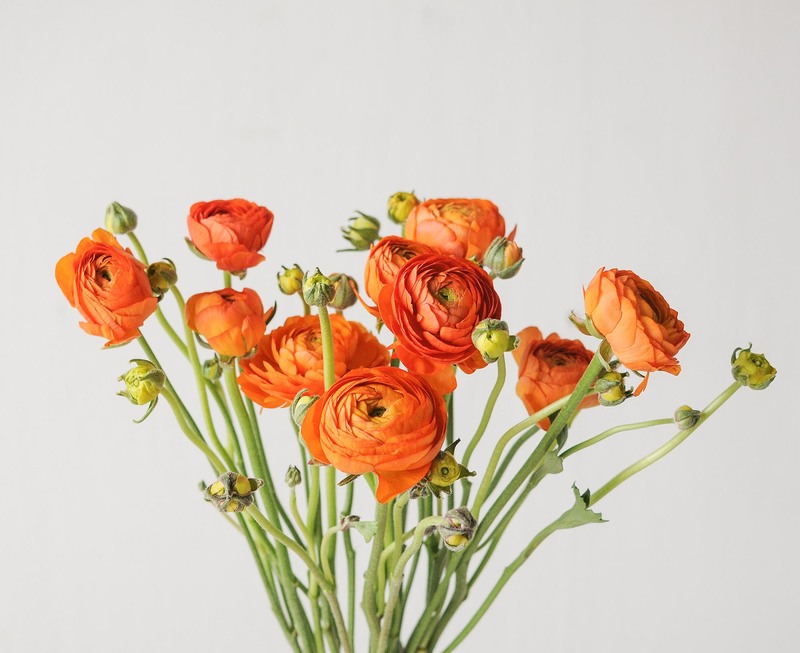 The ranunculus is a short-stemmed variety, ideal for coffee tables or side tables.